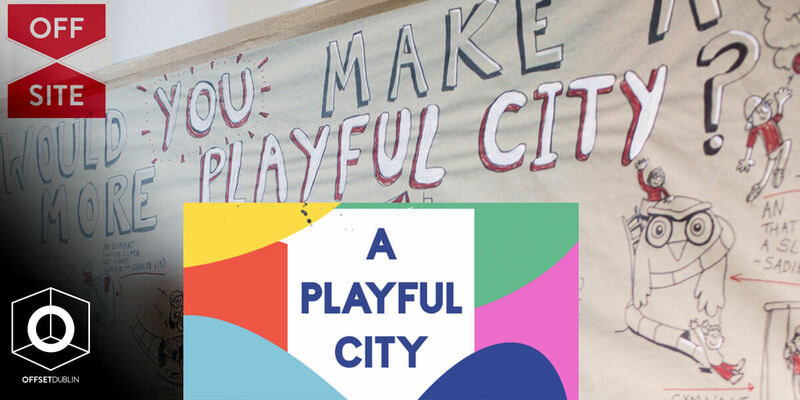 Offset, Dublin City Council and A Playful City are teaming up to bring together unexpected and cross-cutting perspectives into a conversation about what makes a city play. To look at Dublin city as a creative, cultural, playful and living space as well as one engaged with evolving. The interactive talks will be zeroing in on the laneways of Dublin, examining and exploring challenges and possibilities for designing these spaces as intergenerational, accessible, and playful. Key actors and influencers from across sectors – from set designers to game designers to architects to event curators and more…will come together to share their unique perspectives, while attendees will have the opportunity to contribute too. Playing with Space will lead directly to tangible impact: the insights gathered during the series will feed into A Playful City’s work with Sean Harrington Architects to transform a selection of laneways in Dublin 1 into playful spaces.